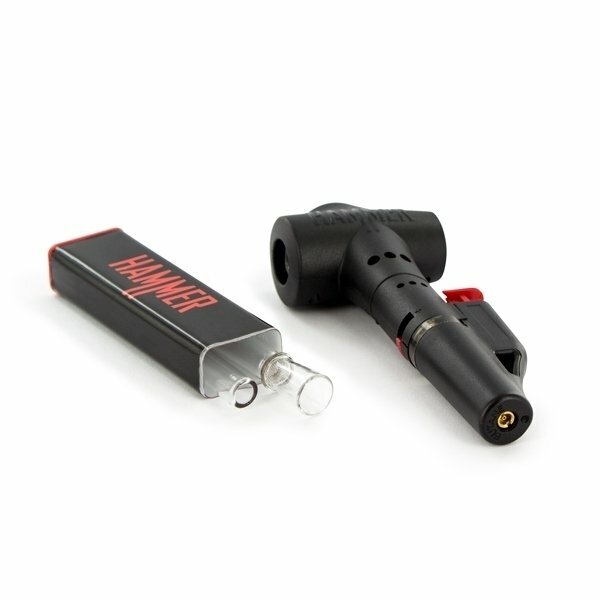 The Hammer unlike other butane-powered vaporizers isn't bulk or heavy, in fact it fits nicely in your pocket. Its economical, efficient and enticing design allow for quick, strong vapor hits in just 30 seconds or less. 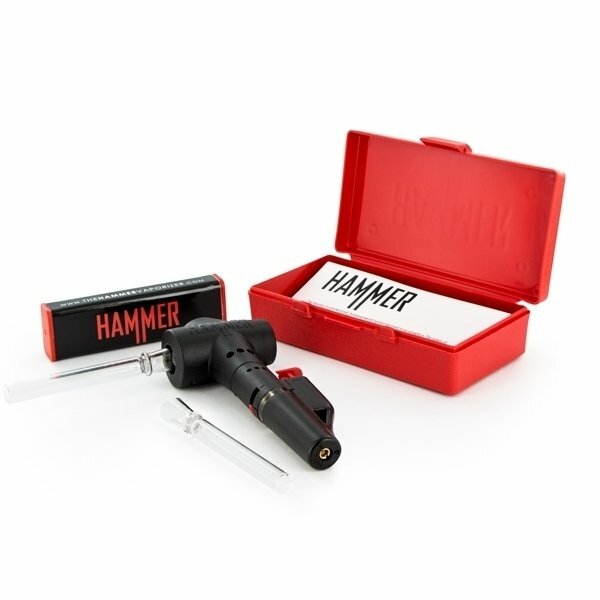 Designed to be discreet, portable and quick, The Hammer really bashes out a strong vaping experience. Designed to be discreet, portable and quick, The Hammer really bashes out a strong vaping experience. With its butane-powered system The Hammer knocks other similar vapourizers out the water - with it's efficient single-serve bowl and accessible functionality. 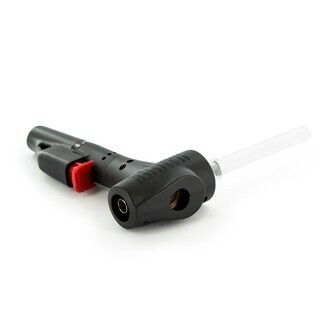 Ensuring that The Hammer is amply full with Butane (of which can be done in a matter of seconds), fill the vapourizer with your herb via the glass mouthpiece - ensuring you don't over pack. Once loaded, press the igniter button holding it down for approximately 20-30 seconds, this will allow The Hammer to reach its optimum temperature. The actual warm up time may vary dependant upon whether you have the fuel valve set in the + or - position. At this stage, place the mouthpiece at your lips and gently touch the heat exchanger and inhale slowly - all the while holding down the igniter until you are finished inhaling. - At 5" tall The Hammer is a portable device, that can fit your pocket, purse or palm effortlessly. -The Butane System is safe, efficient and eliminates the needs for cords, electricity and batteries. -Designed to be clean. Air passes directly through a stainless steel heat exchanger and then through a borosilicate glass tube. A pure vaping experience. -The single-serve bowl facilitates for quick refills.